If not absolutely delighted with our system, return everything for a full refund*! 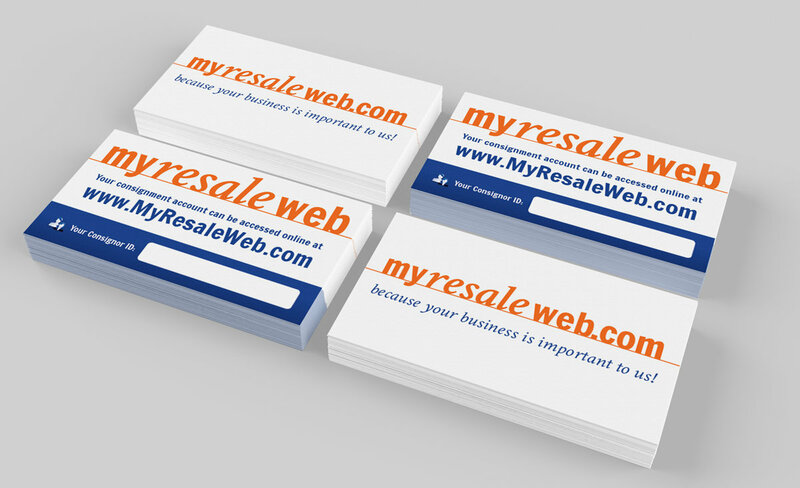 Our full-featured, user-friendly, software system that completely automates all aspects of your resale business! Get started today for only $217 with our 6-month free financing plan. Our Silver Package combines ConsignPro with our barcode scanning gun and card reader to make sales faster and more accurately. Monthly payments @ $235 with our 6-month free financing plan. Our Gold Package is great for high-volume stores as it combines fast tag printing on our Zebra thermal ticket printer with the accuracy of a scanning gun and card reader for point-of-sale. Monthly payments @ $299 with our 6-month free financing plan. Our Platinum Package does it all! Fully automate both your intake and checkout processes with our thermal tag and receipt printers, electronic cash drawer, card reader, and scanning gun. Monthly payments @ $379 with our 6-month free financing plan. 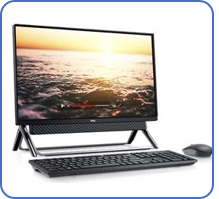 Our Total Turnkey Package includes everything in the Platinum Package plus a beautiful new CP:Advantage All-in-One Touchscreen PC and EMV credit card setup. Monthly payments @ $555 with our 6-month free financing plan. This is truly one-stop shopping! Our network license allows you to run multiple computers in your store and divide your workload. One network license is needed for each additional computer you'd like to add to your system. More on networking. Add a full year of online consignor account access AND secure web backups of your database to any of the above selections and save 50% off our regular prices! 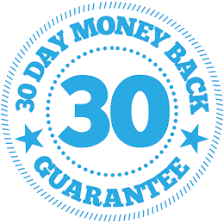 * We offer a 30-day return policy on any software or package purchase. A 10% restocking fee applies to all hardware returns. Adding our scanning gun to your system allows you to make sales faster and more accurately on our Make Sale screen. 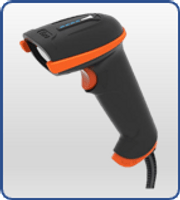 Our wireless scan gun option can read barcodes from up to 10 meters making it easy to sell both new and consigned items, without the wires! 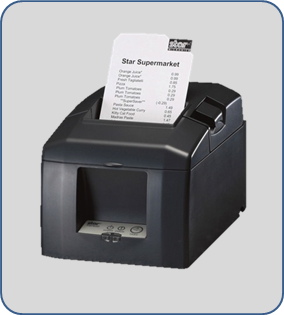 For professional looking customer receipts, our Star thermal receipt printer is a must-have for the busy shop. 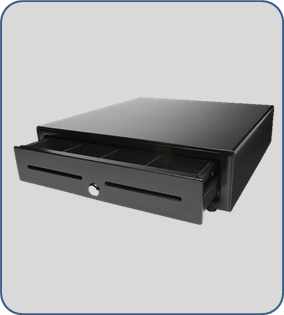 Our all-steel, locking, cash drawer automatically opens when you make a sale and turns your computer into a cash register! 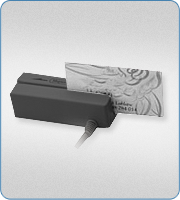 For great looking tags or labels, add our Zebra thermal tag printer to your system. The printer prints with heat so there is not ink or toner to replace – ever! Our card swipe is used in conjunction with the XCharge credit card processing system to process credit cards from ConsignPro with ease. 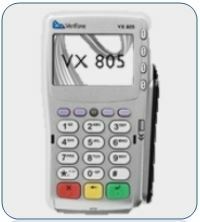 Our Verifone VX-805 comes ready to accept chip cards. Requires a signed merchant agreement with BluePay merchant processing. 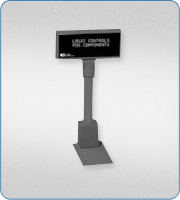 The pole display connects to your computer to display sales information to your customer as you ring up a sale on our Make Sale screen. Our 17" ELO touch screen monitor is great for point-of-sale and virtually eliminates the need to use your mouse – use your finger instead! * We offer a 30-day return policy on any purchase. A 10% restocking fee applies to all hardware returns. * If your existing Support Plan is lapsed for over one year, additional update charges may apply to your renewal. 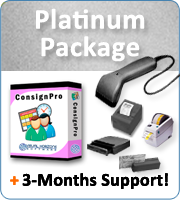 The initial setup of software & hardware often proves to be the hardest part of using ConsignPro. With our concierge service, you’ll simply connect the equipment to your PC and we’ll setup a prioritized appointment with you to do the installation and configuration - using a remote connection to your PC. This includes network configuration and any online services setup too. Why struggle? If you're selling your store, or just purchased a store that uses ConsignPro, the license must be transferred into the new owners name. Specific guidelines for this option can be found on our transfer requirements page. All transfers include the first year of Tech Support and Version Updates. Our data services manipulate data in your ConsignPro database. 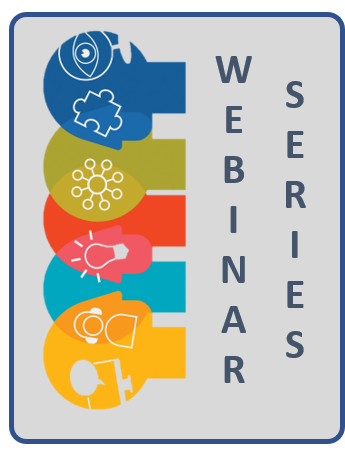 This may involve combining multiple stores, removing old data from the system, converting data into ConsignPro, or doing a global change on a data field or fields. Please e-mail us for more information. Sell your items in your very own online store. Your store will be open 24/7 for customers to browse or purchase items via a PayPal shopping cart service. 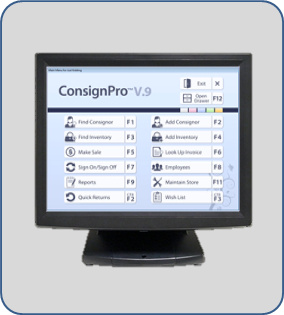 Complete integration with ConsignPro. Pricing shown does not inlude a one-time $49 setup fee, applied during checkout. It's never been easier to promote your great finds to all of your social media accounts with our Social Add-On. Each Plan comes with a team of talented marketing professionals responsible for your success! This purchase qualifies for six-month interest-free financing. It also includes a free year of unlimited Technical Support and a lifetime listing on ResaleShopping.com. To take advantage of this special offer use Discount Code: ‘bonus’ during checkout. This offer cannot be combined with other offers and may be contingent on a routine credit check. $129 is automatically charged to your credit card each month. Your computer must always be connected to the Internet to use this option. Network copies for additional computers can be added for $29/month each. Use the "Notes" box to indicate how many computers you will be running in your shop. POS hardware is not included with this option but can be ordered separately. * EZ Lease option not available for seasonal sales. The POS hardware included with your today's purchase comes with the standard manufacturer’s 1-year warranty which covers manfacturer's defects. You can extend that warranty to three (3) years by adding the “ConsignPro Extended Warranty” option to your order today. The extended warranty covers the full replacement cost of your hardware for three years for any damage or malfunction of your hardware for any reason at all. This includes accidental drops, spills, theft, fire, and flood. Consider protecting your investment today with the ConsignPro Extended Warranty coverage.